If you want your party to be a blast, be sure to provide your guests with crafty and memorable treats. Be sure to choose Magic By David. Magic by David offers lively and entertaining party options to add color and fun to your child’s big celebration! Are you looking for a Washington Face Painter? Magic by David and CO. now offers face painting and balloon twisting. Washington Face Painter available for any occasion this will make your event unforgettable. Great for birthday parties. It’s a must for your festival. Perfect for schools and churches. Anyone needing Face Painting in Washington North Carolina give Magic by David and CO. a call. This Washington N.C. Face Painter can be reached at 919-266-1682. So when you need Washington Face Painters look no further. Hire the Washington N.C Face Painter and Balloon Twister at a low cost. 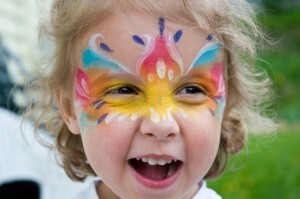 Washington Face Painters for Washington Face painting for birthday parties or special occasions.